This might just be the solution to your uncomfortable saddle! We all know the frustration of a wonderful day out on the bike being cut short by uncomfortable saddle sores! 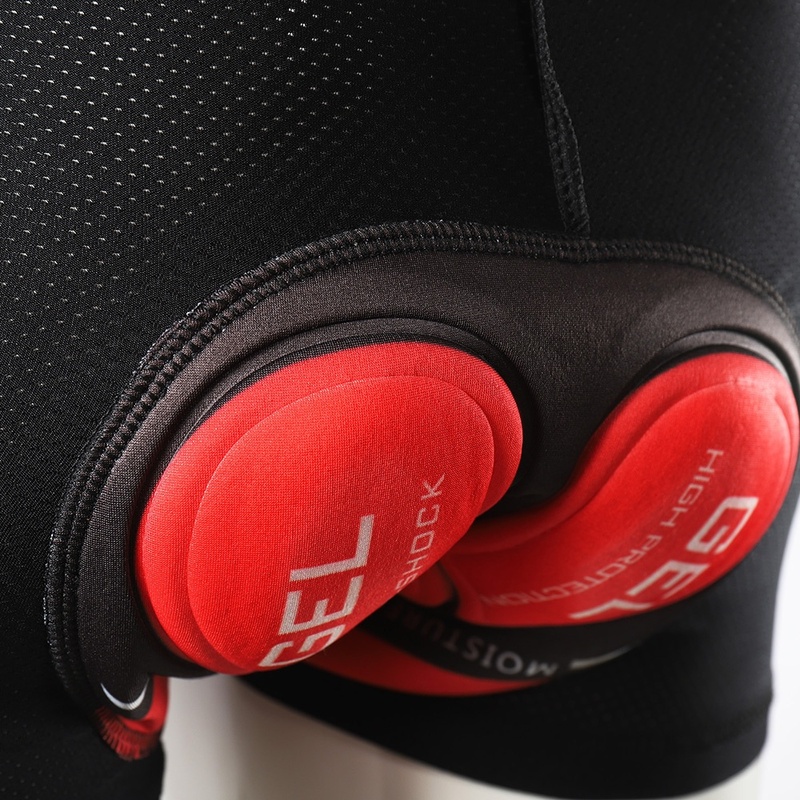 We’ve designed these cycling shorts with a special 5D pad that pads your bottom to prevent friction, and anti-slip grips that keep your shorts firmly in place with a softness that reduces friction and doesn’t cause abrasions. 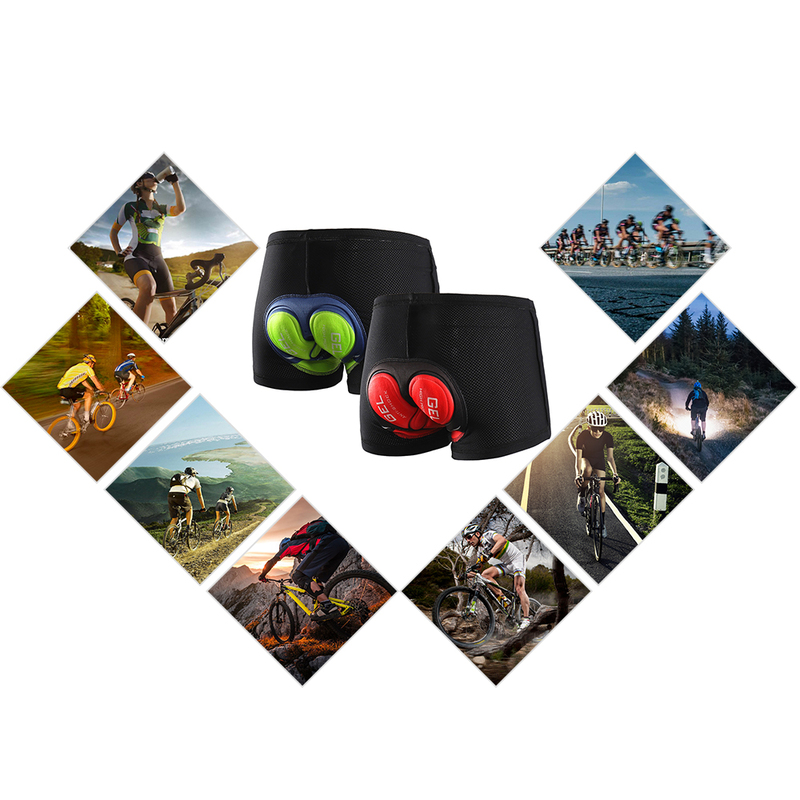 Made for comfort and sewn with quality, these shorts allow you to pedal with passion and ride in motion at absolute full speed ahead. 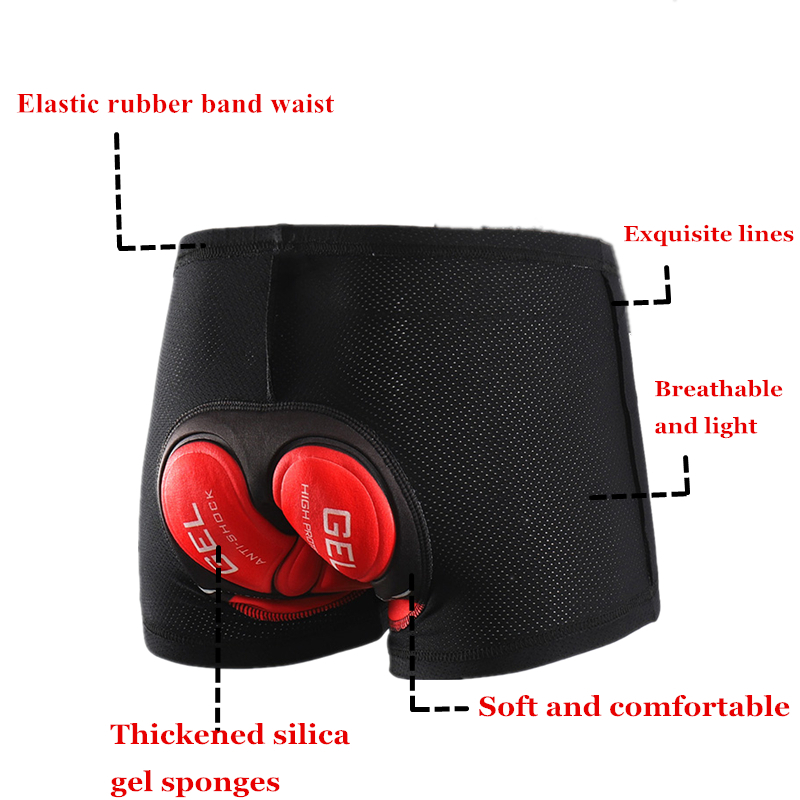 These 5D Gel Padded Bicycle Breathable Shorts give you the comfort to ride for as long as you want without getting uncomfortable. Effectively reducing the sweat produced sour riding, eliminate infections caused by bacteria, make sure your health! Using double antibacterial 5D Coolmax Pad, breathable and comfortable.